Washington, January 12: When you dream, dream big; because they do come true! With speculations mongering in the United States on the upcoming presidential elections in 2020, Tulsi Gabbard, the first Hindu ever elected to US congress, has announced that she will be seeking the party’s nomination for president in 2020. Gabbard will make a formal announcement in next week. Being the democratic representative from Hawaii, Gabbard’s area of interest are criminal justice reform, climate change and healthcare. In an interview to CNN, Tulsi Gabbard said, “I have decided to run and will be making a formal announcement within the next week.” By announcing the same, Gabbard will make history as the first Hindu, from a tiny religious minority. Gabbard, 37, is a US army veteran and a three-term member of the US House of Representative from Hawaii. 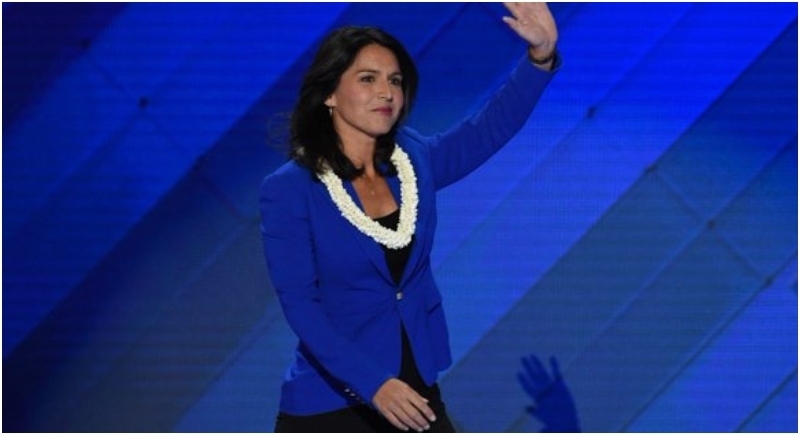 Indian Americans have been keenly following both Gabbard and Harris in anticipation of their run for the White House with mixed feelings: Gabbard is a white American but as a practicing Hindu is an icon among Hindu Americans. Interestingly though, Gabbard will become the first Hindu to run for the White House when she announces formally next week. Though not Indian American, Gabbard is often considered one by the community because of her professed religion a Hindu and there are stories that Hindu temples in the Washington-Maryland-Virginia region chimed their bells to coordinate with her swearing in, in 2012. Tulsi Gabbard, could end up competing with Kamala Harris, who is likely to run also, for the affection, support and, most importantly, the financial backing of the country’s richest ethnic community, Indian Americans. Bobby Jindal, the former Republican governor of Louisiana state, became the first Indian American to run for the country’s top job in the 2016 cycle, but lost spectacularly. He had converted to christianity while still in college and, to the disappointment of the Indian American community, he had sought to distance himself from the community on the campaign trail, playing down his Indian heritage.